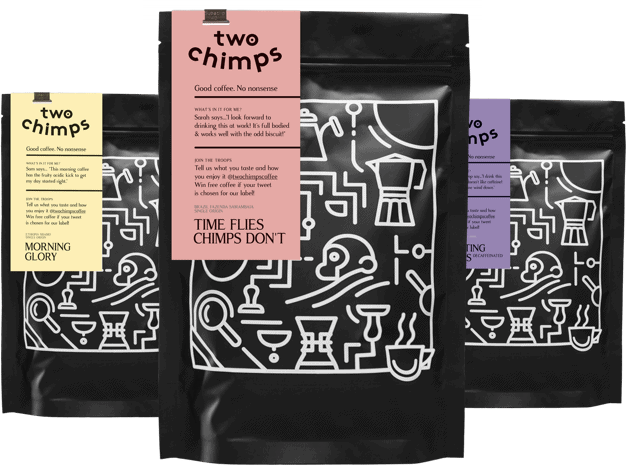 Here at Two Chimps Coffee, we hand roast speciality coffee at our roastery in Rutland. But what does it mean to be a coffee roaster and what is actually involved in roasting coffee? Well read on, and all will become clear on the topic of Coffee Roasters. The very first step to being a coffee roaster is finding some coffee! Without fresh green coffee, we have nothing to roast. We source our coffees from small farms and cooperatives from a range of different countries around the world. Rather than blending these coffees so they can taste the same for a long time, we roast these individually. This creates single origin coffees, each with their own, individual tastes and characteristics. This makes the coffee we roast extra special, as when it’s gone, that particular bean will be gone for good. With this in mind, from time to time we change our coffees and therefore, we are always sourcing fresh coffee to roast. When the time comes to change one of our coffees, we aim to source a coffee that has similar notes to the one it is replacing. For example, if we were replacing a coffee that had an apple like acidity, we would look to source a coffee that had a similar, fruity note. We know we won’t find two coffees that are identical but just imagine all the different coffees you could try. Coffee cupping is the process we use to taste all new coffees in the same, unbiased way. This involves brewing each coffee in the same way, with the same amount of coffee, water and time allowed to brew. By brewing coffee like this, any differences in taste must be down to the coffee, rather than how it was brewed. When we find a coffee that we like the sound of; we ask for a sample so we can cup it. Usually, we aim to have between three and six different coffee samples, to give us a little choice. Each sample is labelled with some brief information about the coffee. This information will often include things such as the country of origin, the farm it was grown, the altitude of which it was grown and some tasting notes. We won’t look at this information until after we have finished cupping. This way we won’t have any biased opinions. For instance, if one of the team adores coffee from Colombia and they are aware where the coffee from Colombia is on the cupping table, they will naturally be drawn to it. Once we have agreed on the preferred coffee, we will get in touch with our importer, who has a direct relationship with the farmer, to put in an order for the coffee. Depending on where the coffee is stored, we either collect the coffee from the warehouse or arrange to have it delivered straight to the coffee roasters. The coffee arrives in 60-70kg hessian sacks, depending on the country of origin. Often, these hessian sacks are lined with a grain pro sack. This is to ensure the coffee stays fresh throughout its journey to us. Now onto the bit you’ve all been waiting for… The coffee roaster and how we roast by hand! Before any coffee is put into the coffee roaster, we have to check the moisture level and density of the beans. Coffees that have been grown at higher altitudes will sometimes have a higher density than beans that have been grown at lower altitudes. This is caused by the greater range of temperatures a bean is susceptible to at its particular altitude. With this in mind, coffees that are dense will often require a higher roast start temperature than a softer bean. The high start temperature will help to penetrate the compact cell structure and get some heat energy into the beans. Before the first crack, there are three sensory milestones we use in every roast. Grass, hay and bread. We use these milestones as a way of monitoring the roast and to ensure it’s spot on every time. When these milestones have passed, we will listen out for the first crack. As the roast progresses, we monitor the ‘rate of rise’ to ensure that each bean spends the right amount of time in each stage of the roast. By monitoring and controlling the roast, we can predict when this first crack will be. If we have a coffee that we want to roast lighter and has more fruity notes, we will aim for an earlier crack. Whereas if we have a coffee that has notes of chocolate or nut, we aim for the first crack to be slightly later. The first crack signifies the beans are entering an exothermic reaction where they can’t take in any more energy, so instead, they omit it. At this point, the roast has entered the ‘Development Phase’ which is the time between the first crack and the end of the roast. In this time we will pull a sample of the beans every 30 seconds. The samples are then cupped until we find one that is the closest to what we wanted to achieve from the roast. Then, we start the roasting process again. We use the information found from the previous roast and the tasting notes from the cupping table for guidance. For instance, if we wanted to bring out slightly different flavours in a coffee, we would change the way we roast to suit. We will do this until we have nailed the roast profile. Once we are happy with the roast, we will mimic it for all our small batch roasts of that coffee. We also keep a sample of the beans to use as a colour reference for roasts in the future. Once the coffee has been hand roasted, it is moved along to be packed. From here the beans are packed into 50g taster bags or our regular 250g, 500g and 1kg bags ready to be sent out to you lovely people. At the packing station, the beans are checked for quality. If there is a batch that didn’t roast in the coffee roaster as expected, it doesn’t make it into any bags. When the coffee has been roasted and packaged to order, we either hand deliver your coffee if you are a local or wholesale customer, or if you’re further from us, you’ll receive it the next working day with our free first class coffee delivery. Our 250g bags fit into a ‘large letter’ sized envelope, meaning they will go straight through the average sized letterbox. Woo! Anything above 250g is delivered to your door as a small parcel. It is better to order little and often rather than in bulk from us. This way you won’t have an overload of coffee, and it will be as fresh as possible. We don’t send out orders on weekends or bank holidays, and currently, we only ship to the UK. If you live locally to the roastery, why not come and collect your order? We love visitors. So there you have it, that’s what it takes to be a coffee roaster. Want to get some hands-on experience here at the roastery? Take a look at our list of coffee courses and get yourself booked! I don’t know about you, but I fancy a coffee! Take a look at our shop where you will find a full list of all our coffees.